The installation will be on display from Aug. 1 to Sept. 28. A reception for the exhibit will be held in the Windgate Center of Art and Design lobby and galleries from 5-7 p.m. on Wednesday, Sept. 5, 2018. Wyszomirska will give an artist talk about her installation at 6 p.m. on Friday, Sept. 28, in the Windgate Center room 101. 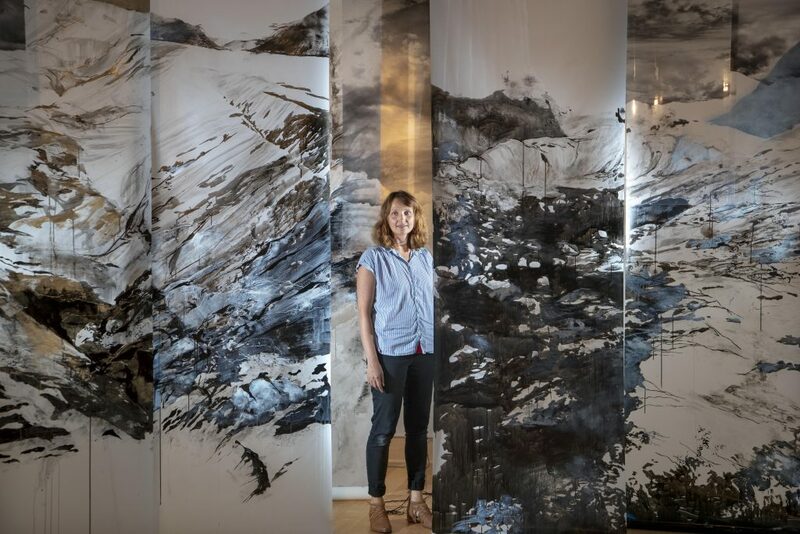 After participating in the Wrangell artist residency in McCarthy, Alaska, in 2017, Wyszomirska was inspired to create the installation to remind her of the beautiful landscape of the national parks and glaciers she saw in Alaska. “Water Memory” includes nine-foot-tall drawings on mylar and other mixed media with glass containers at the foot of the drawings containing water from the Arkansas River. A native of Poland, Wyszomirska immigrated with her family to Chicago in the early 1990s. 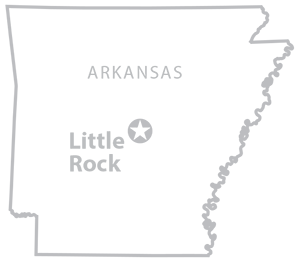 She received her Bachelor of Fine Arts degree from Illinois State University and her Master of Fine Arts degree from the University of Maryland, College Park. With an interdisciplinary approach to drawing, and projects ranging from site-specific installations to video experimentations, she expands beyond the two-dimensional surface to explore edges of tangible and intangible of what cannot be seen with a naked eye. Wyszomirska’s work has been shown in exhibitions at the Baltimore Museum of Art, the VisArts in Rockville, Maryland, the Foundry Art Centre in St. Charles, Missouri, and the Maryland Institute of Art in Baltimore, among others. Wyszomirska has completed numerous residencies, including the Soaring Gardens Residency in Meshoppen, Pennsylvania, Jentel Foundation in Wyoming, Kimmel Harding Nelson Center for the Arts in Nebraska, and the International School of Painting, Drawing and Sculpture in Umbria, Italy. She is also a 2014 recipient of the Board of Governor’s Award from the William G. Baker Jr. Memorial Fund. The exhibit is free and open to the public. The galleries are open from 9 a.m. to 5 p.m. Monday through Friday and closed on university holidays. After Labor Day, the galleries will also be open from 10 a.m. to 1 p.m. on Saturday and 2-5 p.m. on Sunday. For more information, contact Gallery Director Brad Cushman at 501-569-8977 or becushman@ualr.edu. In the upper right photo, Jowita Wyszomirska’s installation “Water Memory” is on display in the Small Gallery at UA Little Rock’s Wingate Center. Photo by Ben Krain.